i-view is an award-winning viewing facility brand offering the highest level of service in London, Leeds and Warsaw. We are custom-built as a contemporary hub for researchers. i-view facilities are located in the heart of each city and offer technologically advanced studios with full-length mirrors over one spacious fully accessible floor. All rooms are generous in size and bathed in natural sunlight. Several of our client viewing rooms can accommodate 20 clients comfortably. i-view is the perfect place for conducting all types of studies including eye-tracking, dial testing, user experience, neuromarketing and test kitchen. We're committed to being the best-in-class and offering clients a premier experience that exceeds expectations. Seven state-of-the-art studios, situated on the Strand near Covent Garden and Somerset House and only minutes away from several underground stations. Onsite underground parking as well as metered and NCP car parking nearby with plenty of popular shops, theatres and restaurants, bars and cafes right on our doorstep. Easy to reach from both Gatwick and Heathrow airports. Full disabled access and services. i-view London has been a member of the VFA since 2014 and is authorised to display the VFA logo. When contacting this viewing facility, please mention that you found them on the Viewing Facilities Association website. • iView consistently surpass expectations. The studio facilities are fantastic and clients enjoy coming there. But the most important thing is the staff: well trained, friendly and unflappable in a crisis. Highly Recommended. 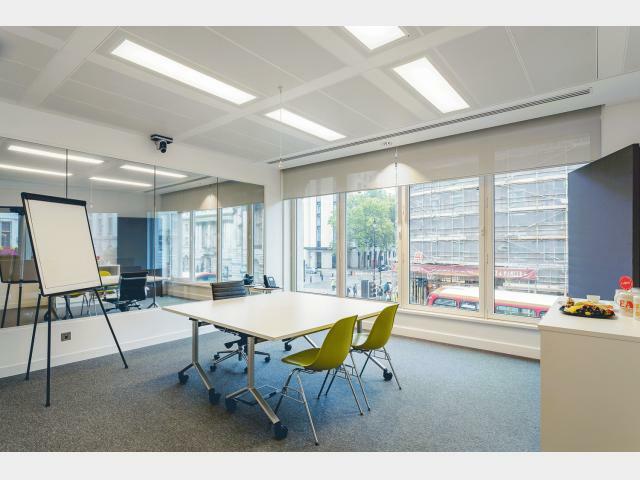 • Brilliantly equipped and flexible work space to enable more interactive group sessions and a menu of lovely food options for clients to enjoy while behind the mirror. Nothing is too much trouble for i-view staff and they genuinely make you feel special. • Apart from having a friendly and fabulous team, who are super organised and who made hosting senior and important clients of ours a dream, the actual facilities are incredibly high spec and impressive.